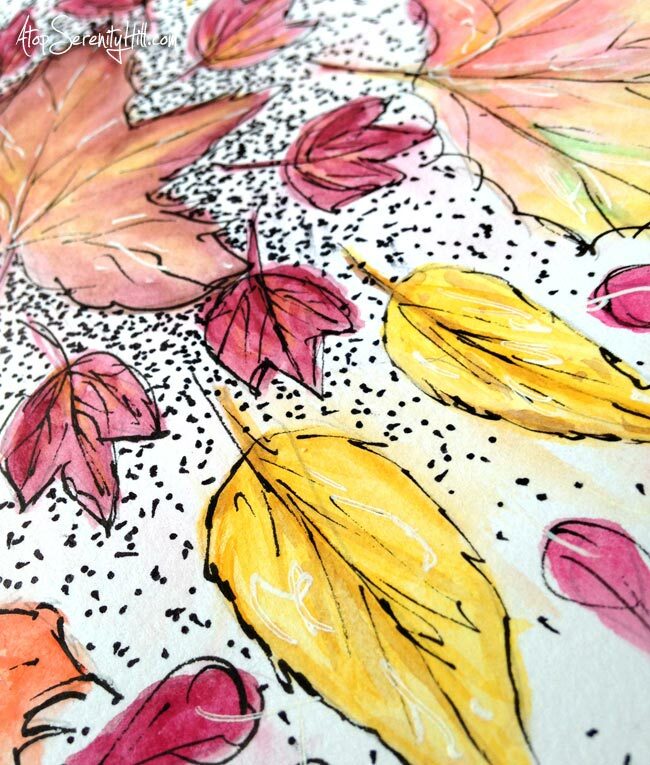 Fall around here has been lovely! 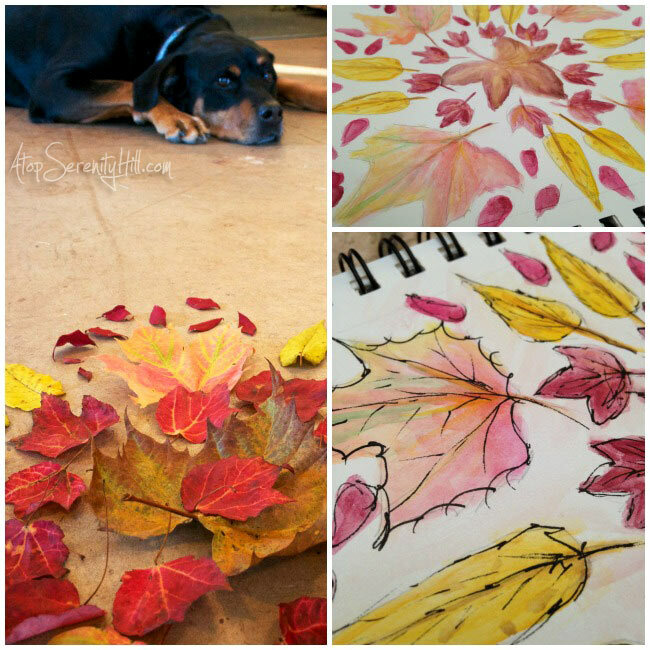 All of the beautiful colors inspired me to create a mandala using leaves I found on my dog walks. 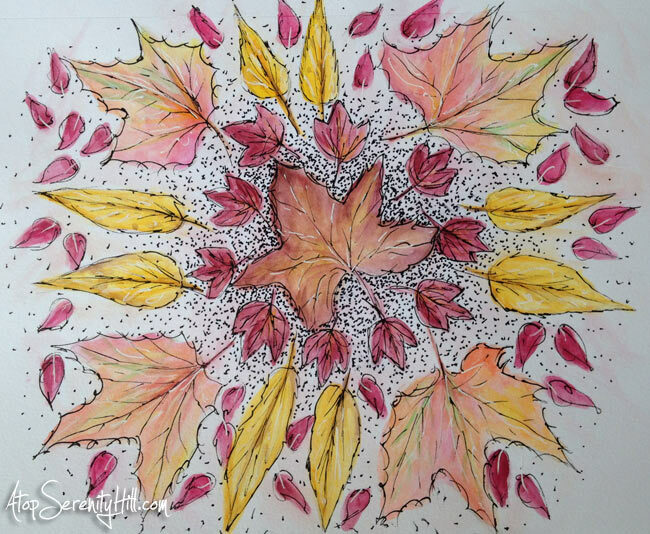 I then used the pictures of the fall leaves mandala to recreate it in watercolor and ink . 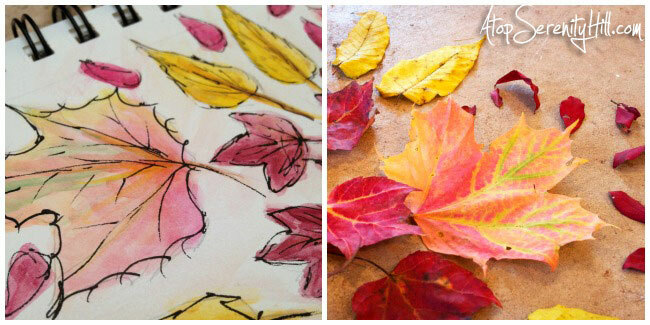 Nature is definitely one of the best places to find creative inspiration! 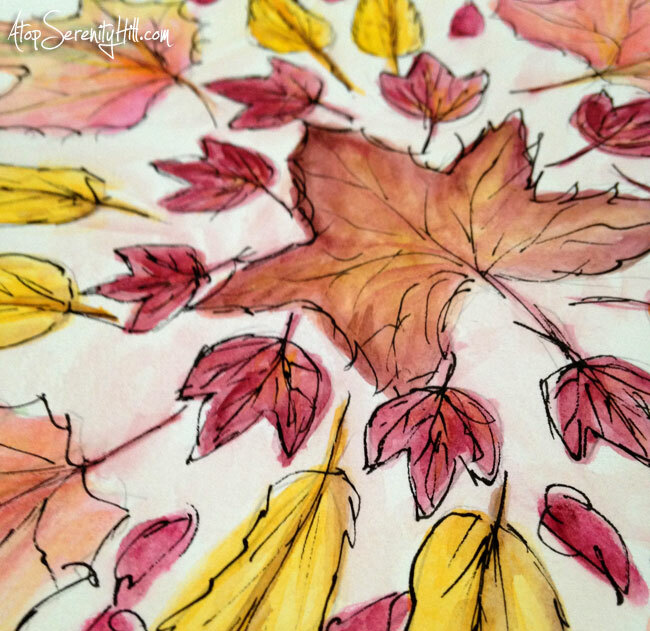 I encourage you to go for a walk and snap some pictures or sit and sketch while fall is still out in all its glory! Enjoy! Thanks, Emma! BTW…your pet portraits are lovely!!! I really love this, but i DO have a thing for mandala anyway! Great photo and art! Thanks, Andrea! 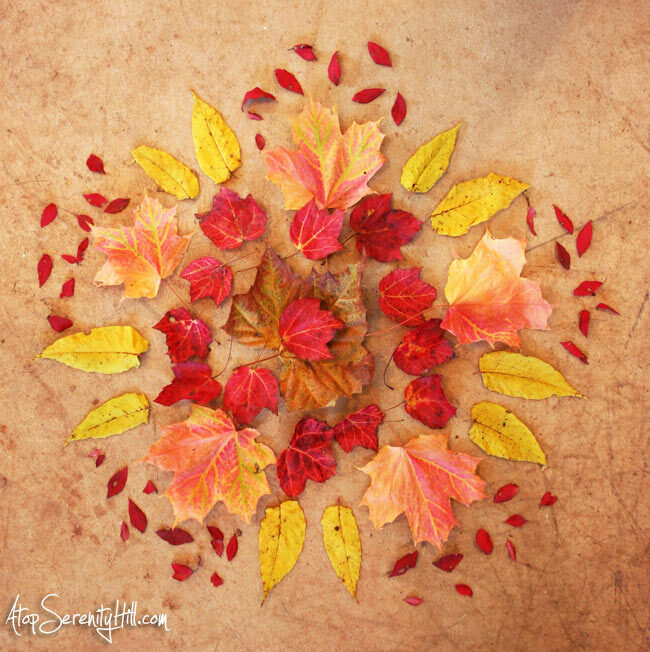 I love mandalas…can’t get enough of them! How pretty and creative! I wish we had leaves those colors in San Francisco!